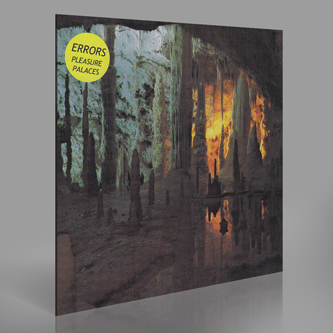 Euphoric Post-rock for Indie discos from Rock Action's Errors. Title track occupies the dreamy space between billowing post-rock cliches and chugging synth-pop rhythms, armed with blooming, wet-eyed vocals and blanketing guitars. Flipside 'Auberchute Flyer' is quite different, taking a slower tack towards the tempered ecstasy of Washed Out - basically loads of hazy reverbed vocals and sluggish rhythms with a knack for effective shoegaze harmonies.